Please check this website for updates on the next meeting date. Join us the last Thursday of March for our next meeting! We see the crisis of homelessness in Los Angeles every day and we all would like to be a part of the solution. 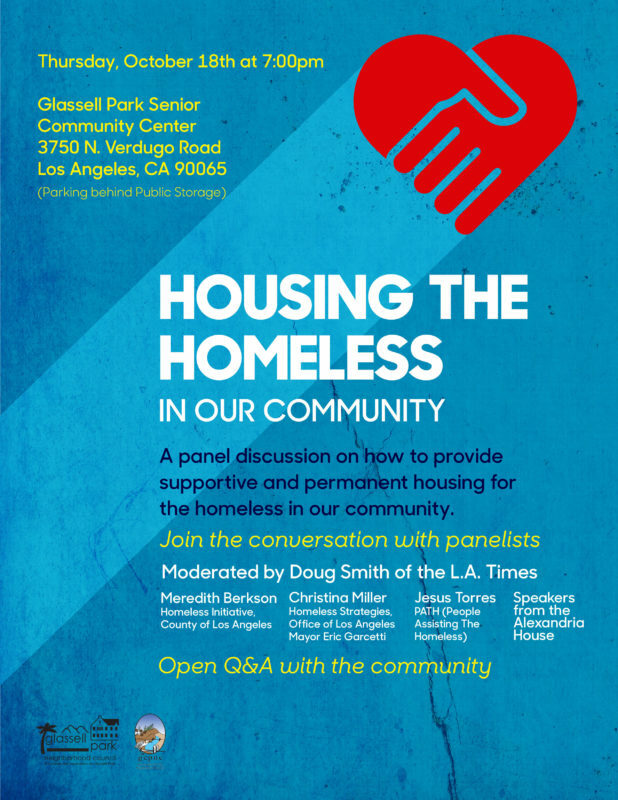 Please attend our forum on homelessness on October 18th at 7pm at the Glassell Park Community & Senior Center to find out what you can do to help get people who want help off of the streets. A panel discussion on how to provide supportive and permanent housing for the homeless in our community. Free Parkway Trees Planted For You: Sign Up Now! Because this program was so popular last year, Glassell Park Neighborhood Council has once again teamed up with Northeast Trees to bring you free trees to green your parkway (which will be planted for you, but which you are responsible for watering), so all of Glassell Park’s streets can be lovely, shady, tree-lined streets. CLICK ON THE IMAGE ABOVE OR GO TO GLASSELLPARKNC.ORG/TREES TO SIGN UP FOR YOUR TREE(S) TODAY. If you’ve wanted a tree in your parkway, but just weren’t sure how to make it happen, this is your chance. 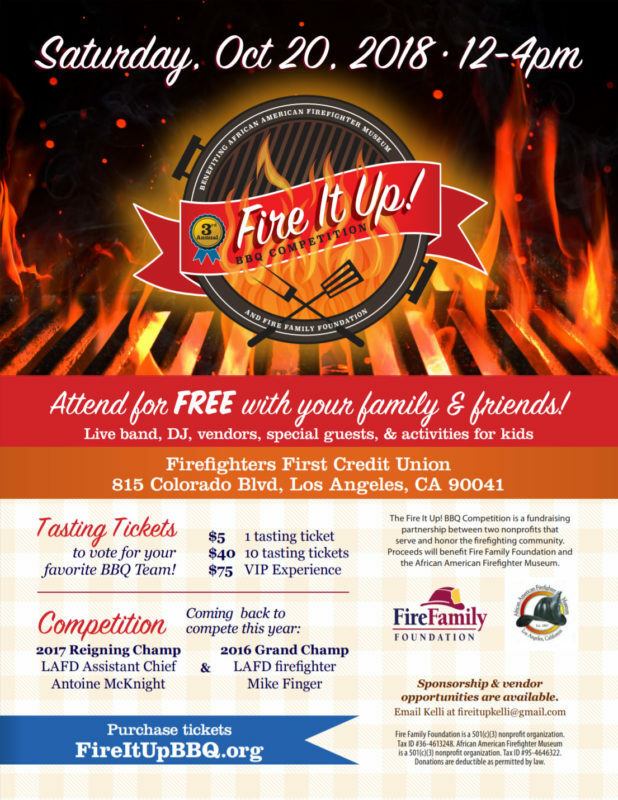 click to view full-size flyer! LIVE BAND, DJ, SPECIAL GUESTS!!! FREE SPECTATOR ENTRY! FAMILY FRIENDLY! RAFFLE! GAMES! PRIZES! BEER! DESSERT! VENDORS! There will be a community meeting to discuss the project(s) detailed below and shown above in the google map. AS A GLASSELL PARK STAKEHOLDER, IT IS YOUR RIGHT TO ATTEND, ASK QUESTIONS, AND PROVIDE INPUT. CLICK THE PROJECT ADDRESS OR PLANNING NUMBERS FOR MORE INFO! The presentation for this project has been postponed! Stay tuned for a new date! Project Description: REQUEST FOR PROJECT PERMIT COMPLIANCE FOR THE CONSTRUCTION OF A NEW 2,376 SQ. FT. SINGLE FAMILY DWELLING IN THE MOUNT WASHINGTON-GLASSELL SPECIFIC PLAN. PURSUANT LAMC 12.24.X.28, REQUEST FOR A ZONING ADMINISTRATOR’S DETERMINATION FOR RELIEF FROM IMPROVING A SUBSTANDARD STREET IN A HILLSIDE AREA TO ALLOW THE CONSTRUCTION OF A NEW SINGLE FAMILY DWELLING. Project Description: TENTATIVE TRACT MAP FOR A NEW 17-UNIT SMALL LOT SUBDIVISION WITH A MIXED USE COMPONENT, INCLUDING 225 SF OF COMMERCIAL SPACE ON THREE OF THE SMALL LOT UNITS FACING EAGLE ROCK BOULEVARD; PURSUANT TO SECTION 12.32 H, CLARIFICATION OF Q CONDITION RELATED TO ORDINANCE 175,350 REGARDING THE PROHIBITION OF 100% RESIDENTIAL DEVELOPMENT; COMMUNITY DESIGN OVERLAY APPROVAL PER SECTION 13.08 FOR A PROJECT WITHIN THE CYPRESS PARK AND GLASSELL PARK CDO. *Date subject to change, so please check http://glassellparknc.org/calendar/ within 2 days of scheduled meeting for updates. Metro Looking for Your Input for Transit Improvements! This is a survey of your preferences and usage of the bus system. It will ask you to answer questions about usage and what tradeoffs you’d prefer, as well as to mark locations of travel (which could, in theory, bring much-needed bus services to under-served areas and routes)! Weigh in today to help make transit work better for you and Glassell Park.